ROANOKE, Va. (July 12, 2017) – Justice Cynthia D. Kinser, the first woman chief justice of the Supreme Court of Virginia and senior counsel at the Virginia law firm of Gentry Locke, was honored by having her portrait hung at the Supreme Court of Virginia on June 9. Kinser spent 17 years on the Supreme Court of Virginia, with more than three of those years as chief justice. She retired from the bench in 2014. In 2015, she joined Gentry Locke as senior counsel, where she focuses on appeals, criminal matters and government investigations. The portrait hangs below that of the late Chief Justice Hassell and close to the justices’ bench. Such portraits are the result of an effort by The Virginia Bar Association, which established a portraits committee in 1928. Altogether, the court’s collection includes 91 portraits of justices. Before her service on the Supreme Court of Virginia, Kinser worked in private practice in southwest Virginia, served a term as the Commonwealth’s Attorney of Lee County, as United States Bankruptcy Trustee and United States Magistrate Judge for the Western District of Virginia. 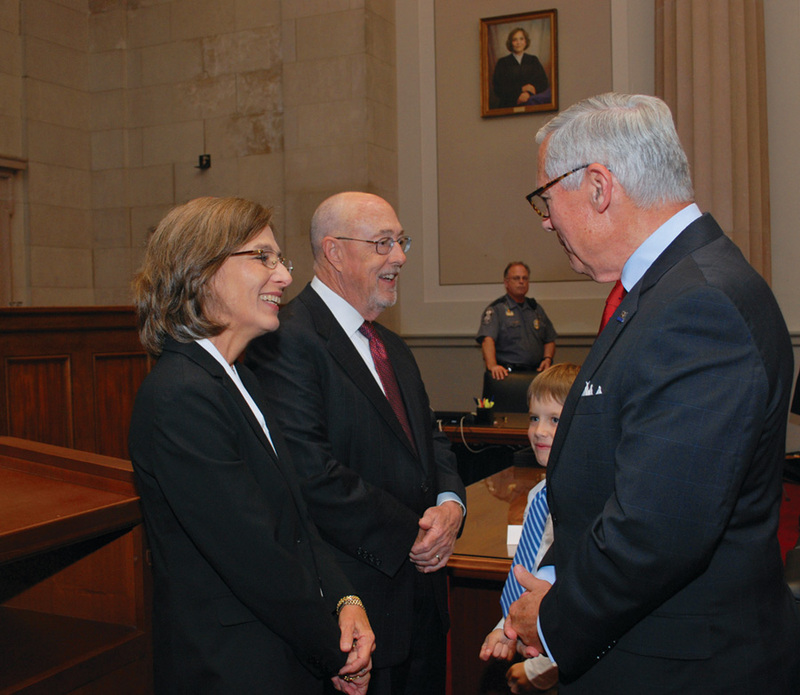 Justice Kinser is the recipient of several honors over the course of her career, including The Thomas Jefferson Foundation Medal in Law; The VBA Gerald L. Baililes Distinguished Service Award; and the Harry L. Carrico Outstanding Career Service Award. With more than 55 lawyers practicing in a range of disciplines, Gentry Locke brings uncommon thinking and deep experience to the legal and business challenges of companies, institutions, organizations and individuals—a commitment the firm has met since 1923. Operating from offices in Roanoke and Lynchburg, Va., Gentry Locke serves clients in Virginia and across the U.S., as well as worldwide as a member firm of the ALFA International Legal Network. Meet the firm’s dynamic attorneys and learn more about its fierce drive to achieve success for its clients by exploring this website.